"He's one to be interested in moving forward and earns the vote, with this better ground expected to suit (two wins on good to firm)." 12:00 - With Winston C out, the penalised ANEMOI (1), who won despite not jumping well on debut, is fancied to come out on top. He should have learned plenty from that run and is fancied to imrpove again. The promising Red Royalist is respected, while given the form of the yard, it's worth paying Musical Slave plenty of respect; he's capable of better. 12:35 - With Outofthisworld out, good bumper performer MIDNIGHTREFERENDUM (5) has the potential to leave the bare form of her hurdle debut and could be the one to side with. This ground should suit Rubenesque more than the quagmire at Ayr last time, and he's respected most. 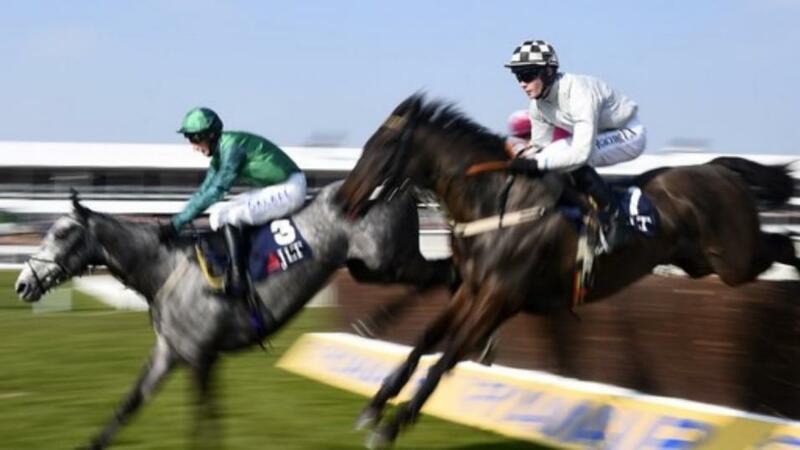 13:10 - Given that COSMEAPOLITAN (1) has been running with credit from marks in the 90s on the Flat and few of today's rivals strike as being well treated, this looks an excellent opportunity for him to make a winning belated return to hurdling before perhaps gaining further success. The unexposed Shiroccan Roll is his chief threat ahead of the in-form HAAFAPIECE (4), who is included as a second selection. His trainer does well when only sending one horse to the races, and this five-year-old was in the process of running well when falling at the last at Sandown last time. If that fall hasn't left its mark, he should run a big race. 13:45 - DENTLEY DE MEE (5) was steadily progressive over hurdles last term and shaped with plenty of encouragement when third on chase debut at Sandown last month, faring best of those ridden from off the pace. He's one to be interested in moving forward and earns the vote, with this better ground expected to suit (two wins on good to firm). Huntsman Son is also high on the shortlist and feared most, ahead of another likeable sort in the shape of Midnight Maestro. 14:15 - The longer trip here will suit SUNNYTAHLIATEIGAN (10) makes most appeal. He made a promising reappearance when third at Cheltenham in October and could be the way to go for an in-form yard that continues to fire Saturday winners in. The unexposed Potterman, who won two races in the summer, should have more to offer, while it's too soon to be writing off Simply The Betts who clearly wasn't himself at Ascot last time. 14:50 - This shouldn't take much winning so INCHCOLM (5) could well follow up his Hexham success from 3 weeks ago. He isn't the most trustworthy, but that also applies to three others in the field who have a Timeform 'squiggle' (denoting that the horse is temperamental) attached to their rating. Attention Please is feared most, though his yard isn't in great form. 15:25 - BOOK OF INVASIONS made an encouraging start to his career at Carlisle last month and is taken to build on that having switched yards since. Fuseau and Dilson are newcomers who look likely types on paper, while Ahorsewithnoname showed up well on her Huntingdon debut and is also respected for Brian Ellison.